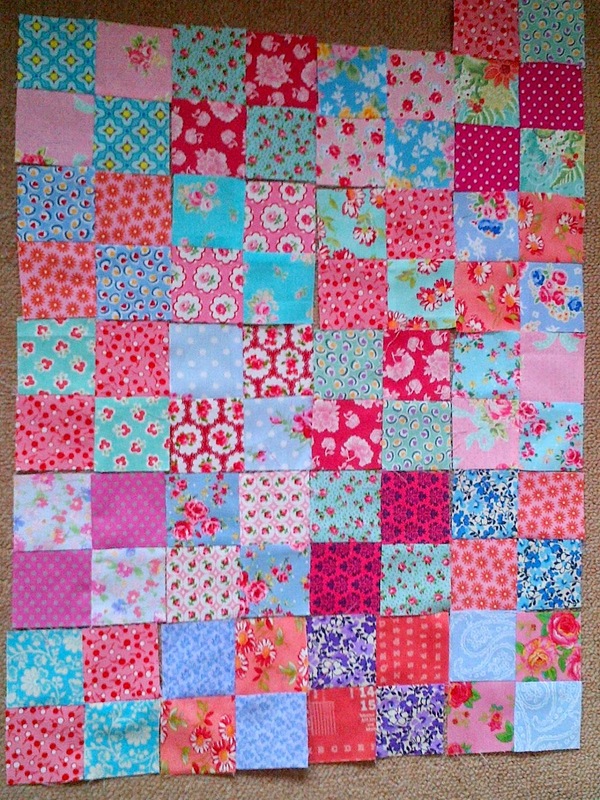 I had all these leftover 2.5" blocks from the Tutti-Frutti Baby granny square Quilt. I divided the leftover blocks into warm and cool colours and started making 2-by-2 blocks with them. I particularly like how it looks when one turns the 2-by-2 blocks on-point. Oh no, please don't start another project... what about all the UFOs??? 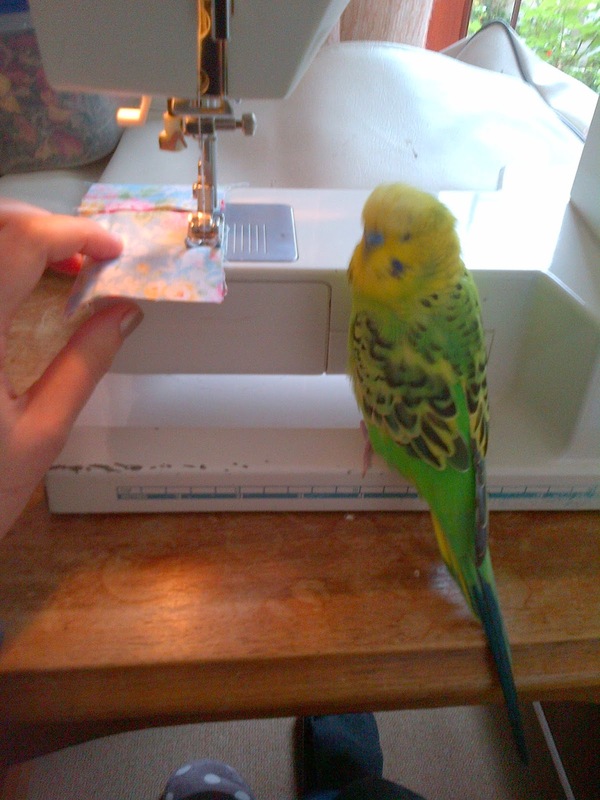 to my sewing machine this morning. 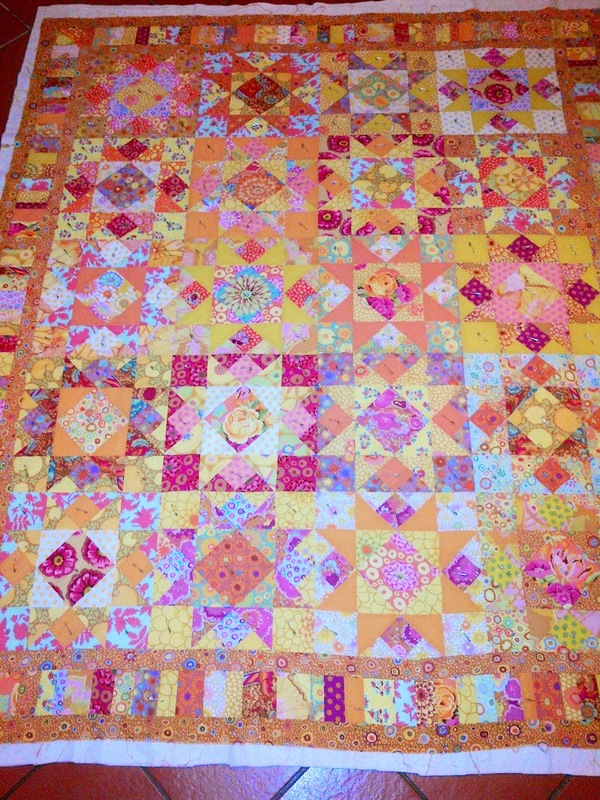 At long last I basted my Summer Star quilt this morning (which I finished piecing almost 2 years ago... shameful!). I hope to quilt it this weekend. You are lucky to have your little helper remind you of all your UFOs ;)! Maybe I need a little friend like that too. 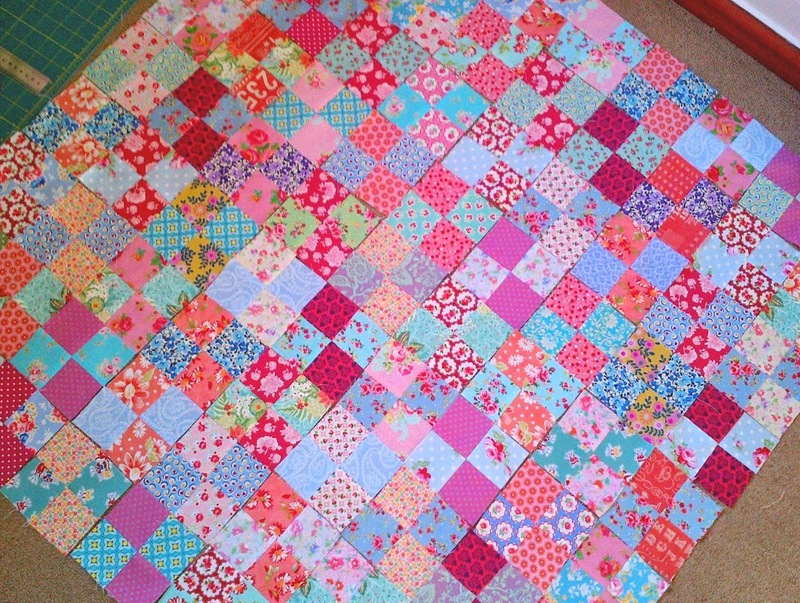 Love your left over quilt, it'll make a perfect table topper. Have fun quilting your beautiful summer star quilt. Ooh, so pretty. Here is your permission to start whatever you want, whenever you want. ; ) It's all about having fun. Right?